The Flat Belly Diet promises a flat belly and weight loss of up to 15 pounds in 32 days. 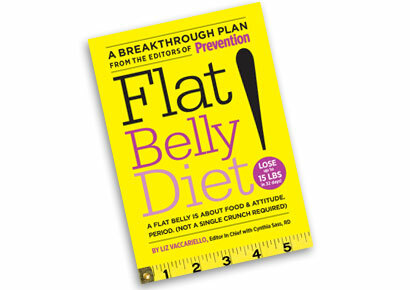 “A flat belly is about food & attitude … not a single crunch required,” it boasts on its cover. Written in the first person by Liz Vaccariello, editor in chief of Prevention, along with Cynthia Sass, MPH, RD, nutrition director at Prevention, it is targeted to the millions of Americans who want to notch off a few inches or more off their waistline. After all, who doesn’t want a trimmer belly? The basic Flat Belly Diet plan is a 1,600-calorie Mediterranean-style diet with an emphasis on wholesome, unrefined foods including fruits, vegetables, whole grains, nuts, beans, seeds, lean protein, and very little red meat (once a month). According to the authors, the secret ingredient in the Flat Belly Diet that whittles away belly fat is the addition of a monounsaturated fat, or MUFA, at every meal. MUFAs are found in olives, avocados, nuts, seeds, dark chocolate, soybean, flax, and olive and sunflower oils. “Research shows that MUFAs have health benefits and target belly fat. They also help control satiety, so by adding in one MUFA at meals and snacks it is easier to stick with the plan and lose belly fat,” explains co-author Sass. Before starting on the 28-day plan, dieters go on a 1,200- to1400-calorie, four-day anti-bloat jump-start period designed to reduce bloating and get dieters in the mind-set of a healthier eating plan. 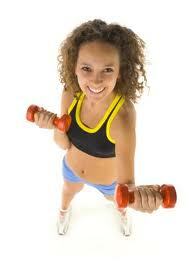 During the jump-start, dieters drink 2 liters of daily “sassy water, “a blend of spices, herbs, citrus, and cucumber. “We tested the diet plan on 11 volunteers and they told us the flavored water reduced bloating, constipation, helped them feel better and get rid of that sluggish feeling,” explains Sass. There’s a lot of girlfriend-sounding advice from journalist Vaccariello, who is not a medical professional, along with more credible “notes from our nutritionist” that feature registered dietitian Sass. Success stories of the 11-member test panel are sprinkled throughout the book. Exercise is optional but encouraged. An entire chapter is devoted to the flat belly workout with diagrams of exercises, walking plans, and a 28-day workout plan. Whether you are a vegetarian or a meat eater, have food allergies, or are lactose intolerant, this plan can be adapted to meet your individual needs. The plan calls for four, 400-calorie meals spaced every four hours, and each meal includes a MUFA. Dieters don’t count calories. Instead, they choose from a list of 28 interchangeable mix-and-match breakfasts, lunches, dinners and snack packs. Food lists with portion sizes and calories allow flexibility in creating snack packs and can be used whenever you need it most. Eighty recipes are included with nutrient analysis of calories, protein, carbohydrates, total fat, saturated fat, cholesterol, sodium and fiber. Calories of meals and snacks during the diet phase are controlled at 400, but the other nutrients can vary. “You can get up to 40% of your calories from fat if you choose the higher fat menu items,” says Sass, which exceeds the National Institutes of Health recommendation of 20%-35% of calories. On the web site, individuals can alter the calorie levels from a low of 1,200 to a high of 2,000 by modifying the snack. Dieters can also send email questions to the authors. The premise of the Flat Belly Diet is that if you trim calories to 1,600 per day, add a MUFA at every meal, eat every four hours, and get regular exercise (although this is optional) you will lose weight and belly fat. Chances are you will lose belly fat on the Flat Belly Diet, but not because of the MUFAs. When you lose weight, you are more likely to lose it in your midsection regardless of the type of weight loss plan, experts say. The plan promotes a lifestyle of overall healthy eating, weight control, stress reduction, and exercise that could be sustained beyond the 32 days. Log onto flatbelly.com for added support, motivation, additional menu plans and the option to print shopping lists or track nutritional intake. For people who skip meals or don’t eat breakfast, the structure of the diet can help change bad habits into good ones. You can lose weight on The Flat Belly Diet plan, but don’t be fooled into thinking MUFAs have magic belly-flattening nutrients capable of melting away belly fat. It is a calorie-controlled, Mediterranean-style diet plan that can help you lose weight in a safe and effective manner. The Mediterranean diet has been proven to be a nutritious and healthy plant-based plan that is good for your heart and overall health. What will melt body fat, including belly fat, is losing weight on a well-balanced plan like this one or any other healthy, calorie-controlled eating plan.